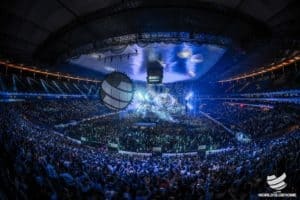 ULTRA Europe 2019, Europe’s Premier Destination Festival, will return July 12-14 next year, with fans attending from across the globe over the course of the weeklong Destination ULTRA experience. Tickets for the event are on sale now via ultraeurope.com with registered ticket buyers able to purchase General Admission tickets at the lowest price for next year’s event. Next year’s Destination ULTRA will take place from July 11-17, with the weeklong series of events spread across four islands and the mainland. The momentous week kicks off with the Destination ULTRA Opening Party at Hemingway in Split, where a world-class house and techno lineup is expected. 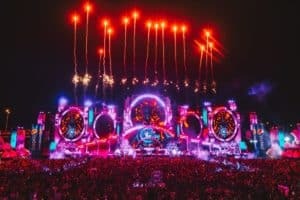 Next, the flagship, three-day ULTRA Europe festival will light up the Poljud Stadium for its seventh year running on the Dalmatian coast, where 120,000 attendees from all over the world will gather to the sounds of the highest quality electronic acts on the planet. The party continues at the Brač Regatta at 585 Club on Zlatni Rat Beach on the picturesque island of Brac on July 15. The next day, 5,000 Ultranauts will descend on the always sold out ULTRA Beach Hvar at the Hotel Amfora Grand Beach Resort, for one of the biggest pool parties on the continent. 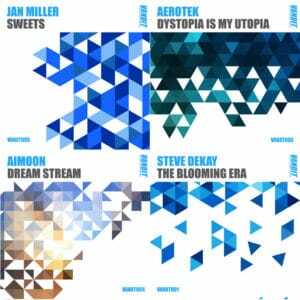 The prestigious hotel will host a star-studded lineup of the most in-demand electronic acts that are sure to keep the crowds going until sunset. As day turns to night, RESISTANCE Hvar will take over Carpe Diem Beach Club on the world famous Pakleni Islands, just a short boat ride away from Hvar. To cap things off, the idyllic island of Vis, and historic location of Fort George, will play host to RESISTANCE Vis, a house and techno master class to cap off the momentous Destination ULTRA week. 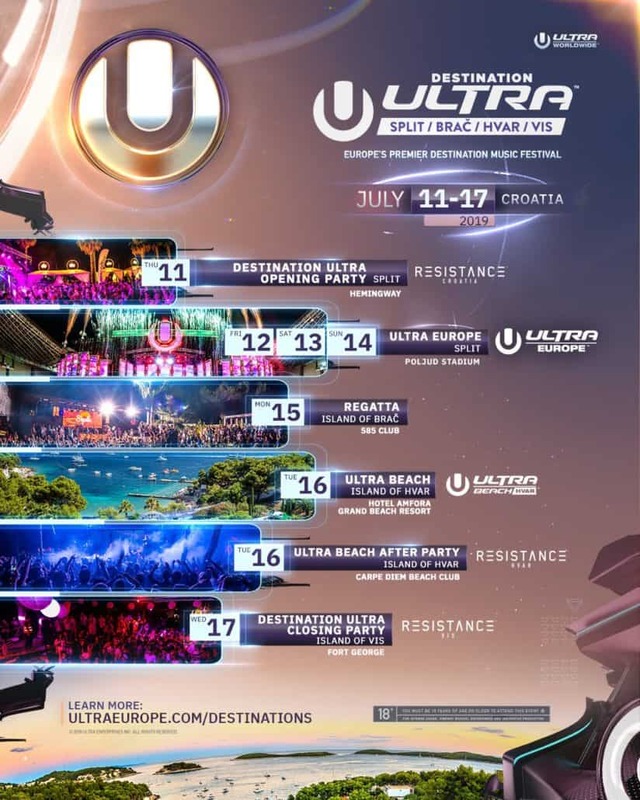 ULTRA Europe 2019 is offering the Destination ULTRA Europe Ticket at €349, which will grant access to ALL the events during the Destination ULTRA week, including the Opening Party, the flagship ULTRA Europe festival, the Regatta, ULTRA Beach Hvar, RESISTANCE Hvar and RESISTANCE Vis. The RESISTANCE Croatia Ticket at €349 will grant access to all RESISTANCE events and ULTRA Europe. Buyers of this ticket will be able to participate in the exclusive, Final Dinner Party on Vis at Fort George before the closing event for the first time ever. PrevPreviousWatch the last Hardwell show via live stream!